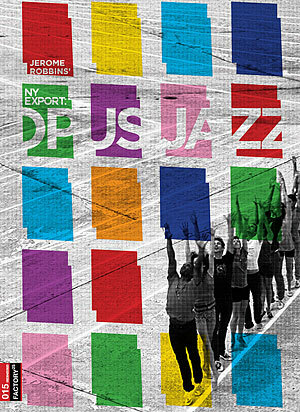 Still holding top spot in the list of best films I’ve seen this year, NY Export: Opus Jazz (review) has just been released on DVD by Factory 25. I received my copy yesterday and am extremely impressed. Extras include a longer version of A Ballet in Sneakers: Jerome Robbins and Opus Jazz, the making-of doc that followed the performance, as well as the 1958 documentary Jerome Robbins’ Ballets: USA, commissioned by the US State Department. There’s also a gorgeous booklet featuring stills and an essay by John Lithgow. It all comes in an attractive slim slipcase. For overseas fans, you might be pleased to know that this NTSC disc is region-free. Really the only thing more I could have wished for is a Blu-ray version, but that’s a minor quibble. Check out some of the gorgeous images from this film in the gallery below. This entry was posted in Documentaries, DVD and tagged ballet, dance, newyork, newyorkcity, nyc. Bookmark the permalink.